In honor of Pastor Appreciation Month, we’ve posted below an excerpt from Bruce Hartung’s book Holding Up the Prophet’s Hand: Supporting Church Workers. 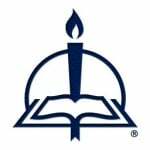 Pastors are on call 24/7 providing spiritual care for God’s people. But as Dr. Hartung points out, they and all church workers are under constant attack by the devil as a result of their work. It is for this reason that we need to constantly lift them up in our prayers and make sure that they are being spiritually cared for as well. First, I would seek to destroy the significant relationships of church workers, their relationships with their spouses, children, friends, co-workers, parish leaders, congregation members and even other church workers. Second, I would work to destroy the relationships of congregation members with one another, isolating them and fracturing community. Third, I would cause the faithful to question their beliefs. Because a church worker’s vocation is to connect people to the saving Gospel of Jesus Christ, they are exceptionally vulnerable to Satan’s attack. Were a parochial school math teacher, for instance, to confine herself solely to her academic subject without any concern for the spiritual lives of her students, she would likely be less vulnerable to satanic attack. Her activities would be simply less threatening to the kingdom of darkness. However, a math teacher who connects with her students on a spiritual level does threaten the satanic game plan. If she connects on a spiritual level with the families of her students, she poses even more of a threat. Likewise, a pastor who offers only theological abstractions in his teaching and preaching may not find himself in Satan’s crosshairs. But if that teaching, preaching, and counseling links the Gospel of Christ to his hearers’ lives, then his work poses more of a threat to the satanic game plan. If that pastor grows relationally close to his people, caring for them on a personal as well as a professional level, that threat increases more. In short, when church workers do what a congregation calls them to do, that is, integrate their daily leadership tasks with the Gospel of Jesus Christ they proclaim, they put themselves in a much more dangerous position. Congregations need to understand that we ask our workers to assume a higher risk, spiritually speaking. Understanding it, we must faithfully take up the task of supporting our workers. Church workers, along with all those who seek to connect the Gospel daily, are by virtue of their vocation, in positions of special vulnerability for satanic attack. It is unsettling to think of our parishes as places of spiritual warfare. We would rather consider the church as a place of respite, of safety. There, we hear God’s Word. There, we receive the Sacraments and support one another as members of the Body of Christ. However, the power of the Word and Sacraments make the congregation and its leaders targets for special attack. If we heed what Luther has to say about the role of the devil in the spiritual formation of a theologian, we will realize our seminaries are spiritual battlegrounds, contested places, rather than spiritual oases, places of refuge from temptation. We will also be able to help our students understand why they and their families come under such concerted attack at certain points during their course of study. Read that quote again, substituting “congregations” for “seminaries.” It fits! When a congregation does the work of the Gospel—proclaiming the Gospel in the human condition—it also places itself in greater danger. Congregations content to focus only on themselves pose less danger to the kingdom of darkness than those who intentionally become more robust in their outreach. John Kleinig, “Oratio, Meditatio, Tentatio: What Makes a Theologian?” Concordia Theological Quarterly 66, no. 3 (July 2002): 265. Ewald M. Plass, comp., What Luther Says (St. Louis: Concordia, 1959), sec. 4319. From Holding Up the Prophet’s Hand: Supporting Church Workers, pages 13–17 © 2011 Bruce M. Hartung, published by Concordia Publishing House. All rights reserved. 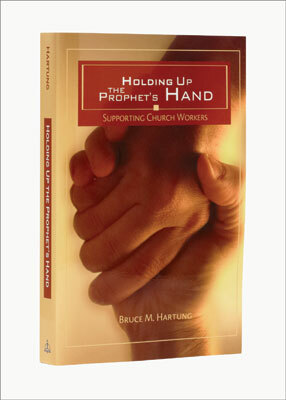 To order Holding Up the Prophet’s Hand, please contact CPH at 800-325-3040 or visit www.cph.org.